A blog about historical arts, photographs and architectures of the world. 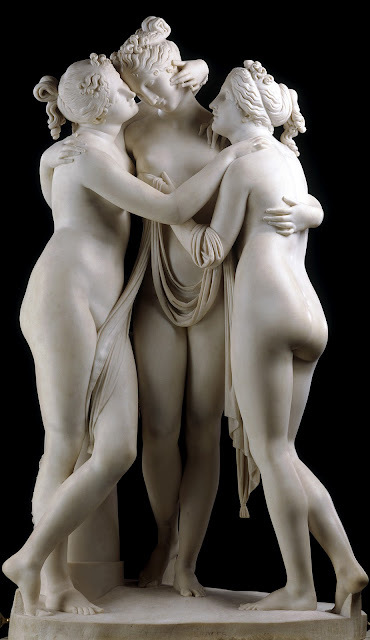 Antonio Canova’s statue The Three Graces is a Neoclassical sculpture, in marble, of the mythological three charites, daughters of Zeus – identified on some engravings of the statue as, from left to right, Euphrosyne, Aglaea and Thalia - who were said to represent beauty, charm and joy. The Graces presided over banquets and gatherings primarily to entertain and delight the guests of the Gods. As such they have always proved to be attractive figures for historical artists, notable amongst them are Botticelli and Thorvaldsen.